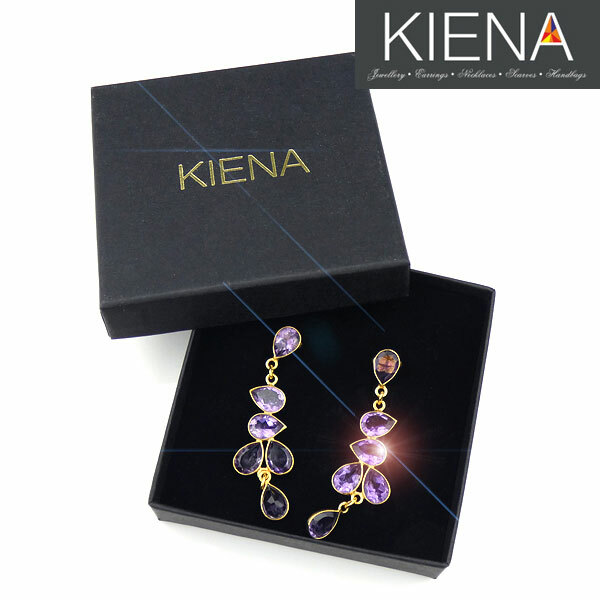 Very elegant 18k gold plated earrings. 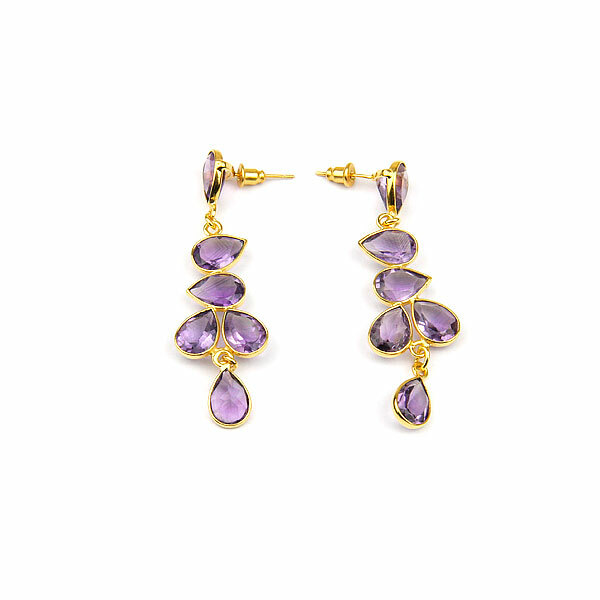 Each earring is decorated with 6 pear shaped amethysts. 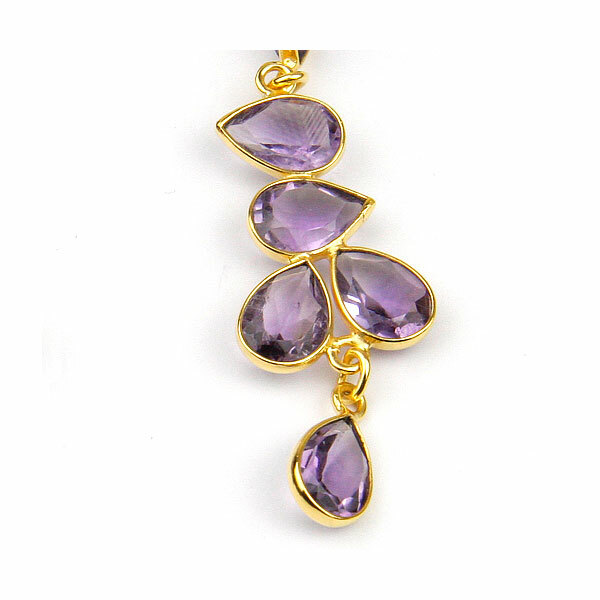 At the top of the earrings, connected to the ear hook, is the first pear shaped amethyst to which is attached a very short chain link to a further 4. Attached to this central group of four purple amethysts is another small chain link to the sixth, which moves separately to those above. Plating of Earrings: 18k Gold onto a Brass base.